What Is It? 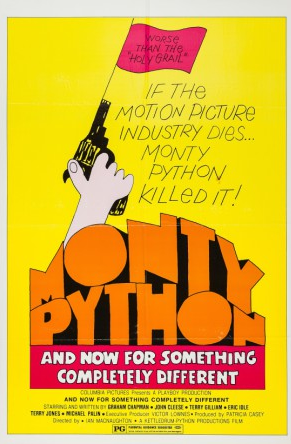 : Considered an inessential Monty Python movie because it merely glossed up TV sketches for U.S. movie audiences, the first Monty Python movie is still a superb best-of compilation and the higher production values often benefit the comedy. “The Restaurant Sketch” murders its small-screen equivalent! Why Today? : Today is Lumberjack Day. Much luck and love, Terry Jones!